The Chase Trifecta is a 3-card system that helps you maximize the number of points you can earn with everyday spend. If your goal is to optimize points for travel, then this is the card system for you. 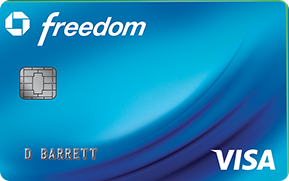 The 3-card system consists of the Chase Freedom Unlimited, Chase Freedom, and the Chase Sapphire Preferred or the Chase Sapphire Reserve. Transfer all the UR points to the Chase Sapphire Reserve (1.5x) or the Chase Sapphire Preferred (1.25x) when you're ready to redeem for travel. Earn 1.5x points on all purchases with the Chase Freedom Unlimited. For all non-category spend where you don't earn more than 2-3x points, the Freedom Unlimited should be your default card. Activate each quarter to earn 5x cash back on up to $1,500 in combined purchases in that quarter's bonus categories. Important: Don't spend more than you usually would just to maximize each quarter. It doesn't make sense to incur more expenses for 5x cash back. You should get the Chase Sapphire Preferred or the Chase Sapphire Reserve based on your spending habits and goals. Watch the video below for a guide on CSP vs. CSR.